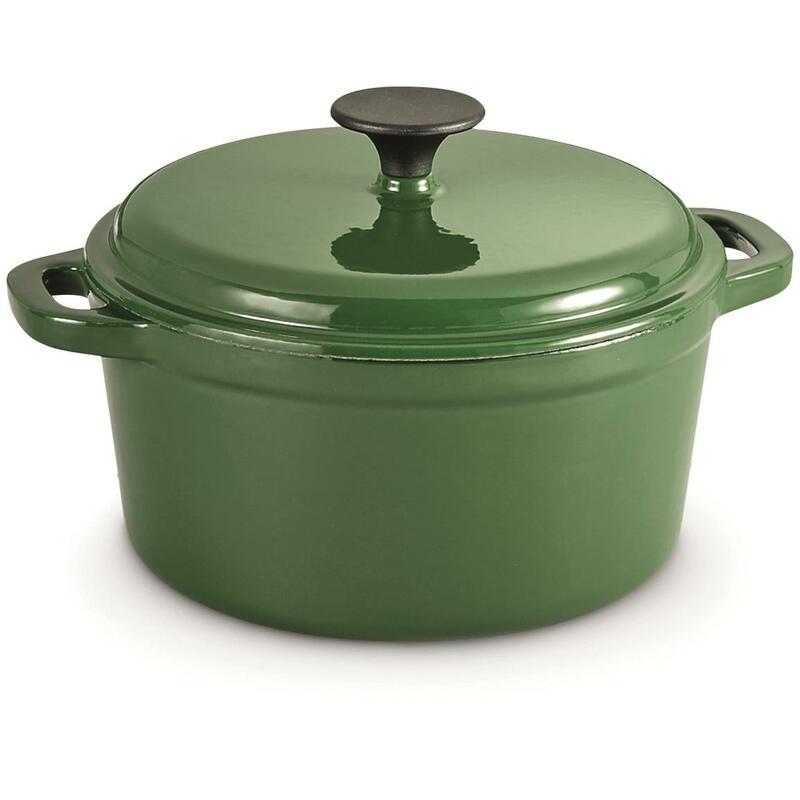 For the serious cooks' kitchen arsenal. 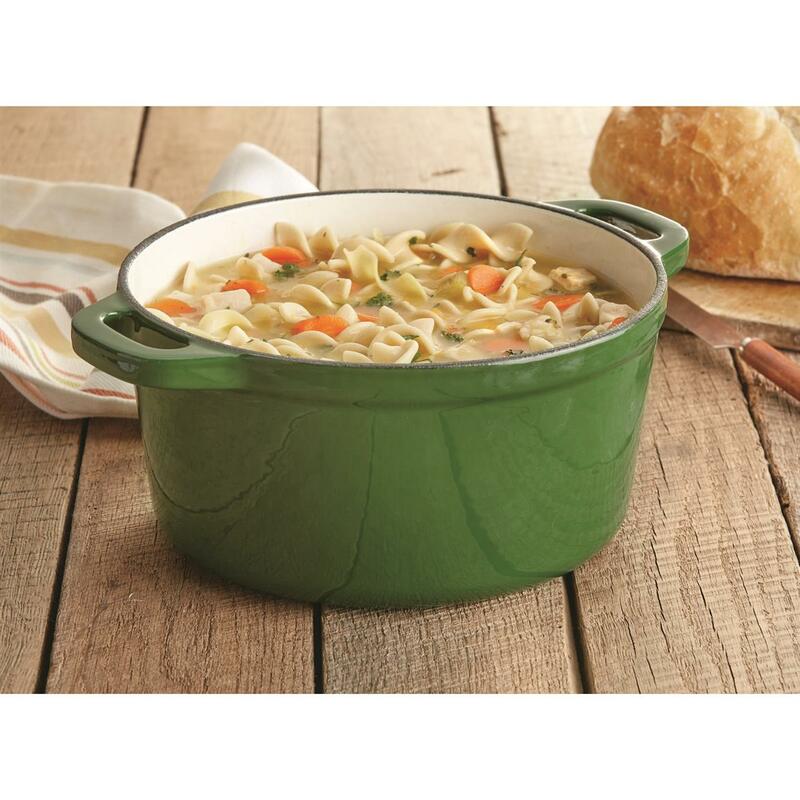 Add the rugged durability and heat retaining qualities of cast iron to your camp kitchen or home kitchen with this CASTLECREEK® Cast Iron Dutch Oven. It's amazingly durable, so you know it'll last for years. Best of all, it's priced way less than similar models, so you get top quality at a bargain price! PLEASE NOTE: This product is not dishwasher safe, hand wash only. Approx. 9" x 11" x 4.5"